Repeated stars and round dots. 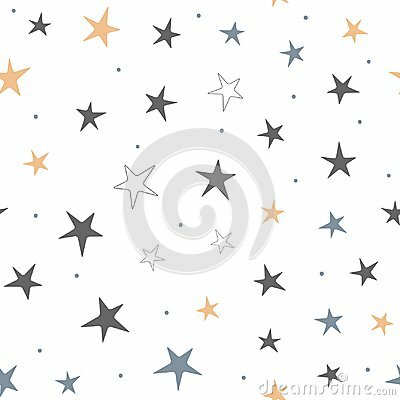 Starry seamless pattern for children. Endless print. Vector illustration. White, blue, brown, black. Seamless repeated pattern with white stars on black. Vector illustration. Many squares are superimposed on the moon shape and the circular interlaces are repeated into a seamless pattern.